However, the brain is still an incredibly important organ in the manifestation of consciousness in physical form, so much so, that if it is not functioning optimally, it will distort the experience of consciousness and the mind considerably. If our brain is undernourished, nutrient deficient, stressed out or in chaotic brainwave patterns, our experience of consciousness in physical form (otherwise known as personal reality) will be diminished, which means that we’ll tend to experience more stress, depression, anxiety, fear, frustration, mental cloudiness and undesirable mental and emotional states with a noticeable diminishment of higher, intuitive-transpersonal mental functioning. In other words, a shutting down of our higher intuitive abilities and spiritual awareness. On the other hand, if our brain is well nourished, relaxed and the two hemispheres are operating in sync and harmony, our experience of reality will be exponentially improved. This is the basis of consciousness hacking—by bringing our brain into greater harmony, health and balance, we can expand our consciousness. We’ll find ourselves experiencing more inspiration, more creativity, clearer intuition and thinking, deeper peace, happiness, joy and an abundance of other positive emotional states. And while there are certainly many factors that influence the health and functioning of our brain, and hence our expression of consciousness, including our our diet and nutrition, our deeper psychodynamics and our level of accumulated toxicity from environmental pollutants, among quite a few other things, in this article, I’d like to focus in on one specific aspect that is relatively easy (and pleasurable) to control and has a very significant positive impact on your experience of reality as far as all these things go. And that’s your dominant brainwave state. In essence, your brainwaves are a reflection of the synergy and harmony (or lack thereof) that your brain is experiencing in any given moment. As described below, different brainwave states correspond to different experiences of consciousness. Because the brain is the filter through which consciousness moves, by adjusting your brainwave state (e.g., the filter), you can essentially hack your experience of reality, meaning that you can expand certain aspects and abilities of your mind and awareness. So how exactly do you shift your brainwave state? We’ll get into that in a second, but first it’s important to understand how your brain operates and the nuances of each brainwave state. While many have been mapped there are at least five core phases you’ll likely want to experiment with. Each has their own unique characteristics and related psychosomatic phenomenon and so not all of them will be appropriate to whatever you are trying to achieve. In the alpha wave state, you’ll most likely feel awake but also simultaneously quite relaxed and without a loss of brain function like you would if you were very tired. When you get up in the morning and just before you fall asleep, you are naturally in this state. It’s interesting to note that when you close your eyes your brain naturally starts producing more alpha waves, however there are varying degrees of the alpha wave state and when you really drop in deep it’s far more powerful and profound than what you might feel or experience just from closing your eyes. Deep alpha wave states are frequently seen in and experienced by meditators. Alpha activity also heightens your imagination, visualization, memory, learning and concentration and is correlated with a decrease in stress and anxiety. In the beta state you are essentially wide awake. Beta brainwaves are associated with normal waking consciousness and a heightened state of alertness, logic and critical reasoning. This is the dominant mental state most people are in during the day and the majority of their waking lives. Although this state tends to be uneventful, don’t underestimate its importance. Many people who lack sufficient beta activity may experience mental or emotional disorders such as depression or ADHD, and low SMR production (a sub-range of beta at 12-15 Hz) may be related to insomnia. While Beta brainwaves are important for effective functioning throughout the day, they also can translate into stress, anxiety and restlessness. The voice of beta can be described as being that nagging little inner critic that gets louder the higher you go into the range. On the other hand, stimulating beta waves in under active individuals can improve energy levels, concentration, attentiveness and emotional stability, however, most people notice more benefit from shifting their brainwaves into other less frequently experienced states such as alpha, delta, theta and gamma. Delta is the slowest band of brainwaves and is experienced in deep, Stage 4, dreamless sleep. When your brain is in a full delta wave state, your body is healing and repairing itself and resetting its internal clocks. You don’t actually dream in this state and are more or less completely unconscious. Delta has also been seen in very deep states of meditation as well. The Gamma wave state is associated with expanded awareness, creativity, activation of the pineal gland, heightened intuition, enhanced mental clarity and focus, deep feelings of peace, joy and oneness, formation of ideas, language and memory processing, and various types of learning. As such, this is generally a highly desirable state to be in. Unsurprisingly, Gamma waves have been identified as a characteristic brainwave pattern of regular meditators and monks and are present when we are dreaming, although they can arise in normal waking consciousness as well. However, research has shown that by practicing forms of meditation and mindfulness regularly, you can literally rewire your brain to experience Gamma waves more frequently. Theta brainwaves are present during deep meditation, relaxation and light sleep, including the dream state. Theta has been shown to be a very receptive brainwave state that has proven useful for hypnotherapy, as well as self-hypnosis using recorded affirmations and suggestions. They are also strongly correlated with bursts of creativity, inspiration and vivid daydreams and visualizations. According to brainwave experts, it is at the Alpha-Theta border, from 7 Hz to 8 Hz, where the optimal range for visualization, mind programming and using the creative power of your mind begins. There are clearly great benefits to be had by shifting your brainwaves into various states, allowing your consciousness to experience reality through different ‘filters’ that help give rise to inherently positive, expansive and often times deeply healing experiences. 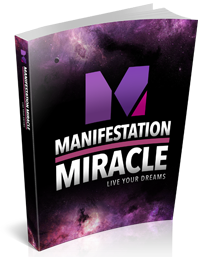 All of the exercises outlined below have been proven to shift brainwave patterns and improve trans-hemispheric communication in the brain, which leads to an expanded experience of consciousness and reality itself. They are a combination of both organic, ancient practices and more modern technologies and advances in neuroscience, allowing you to blend the best of both worlds to your liking and to suit your specific goals and needs. There’s a massive and growing body of research showing that meditation has permanent positive effects on the brain in terms of repair, growth and developing new neurocircuitry that locks in many of the benefits you gain from the practice. And it is also one of the easiest and fastest ways to alter your brainwave state. What’s more is that the longer and more frequently you meditate, the longer the brainwave state shifts last. In every sense, meditation is one of the fastest and most powerful ways to expand your consciousness. In fact, studies have found that those who practice meditation and mindfulness regularly tend to experience a semi-permanent to permanent brainwave spectrum shift toward gamma, alpha and theta, as they literally recondition their neural pathways and stimulate new growth that reinforces these patterns [Liou, Litz, Udo,6,7,8, Holzel, 2011, Neff, 2009 & 2011]. Furthermore, this is what I refer to as an organic method of influencing your brainwave state, meaning that the practice and the associated benefits are initiated by the individual from within without relying on supplements or various technologies. I believe this is ideal and part of the natural evolution of our consciousness and mental capacity—to be able to activate one’s own innate capacity for healing, expansion and transformational change is part of the journey to higher consciousness that so many of us are on. In addition to the meditation outlined below, adopting a regular mindfulness practice throughout the day is a great way to making lasting brainwave shifts and practice a form of active meditation. Learn more about the immense benefits to the brain and how to do it here: 5 Powerful Mindfulness Exercises for Finding Peace of Heart and Mind. 1. Get into a comfortable seated position where your spine is as straight as possible while still being relaxed and free of tension. This can be accomplished by using pillows, props, chairs, floor, etc. if necessary. Find whatever works for you. Your hands can be comfortably placed in your lap or whatever other position you prefer and can be held comfortably for some time. a. Start off by taking an inhalation that is slightly deeper than normal. With your mouth closed, exhale through your nose while constricting and lightly tightening your throat muscles. When you are doing it correctly, you should sound like Darth Vader from Star Wars. Some also liken the sound of this type of breathing to the sound of the ocean or what you hear when you put your ear up to a shell. b. Another way to get the hang of this practice is to try exhaling the sound “haaaah” with your mouth held open. Now make a similar sound with your mouth closed, feeling the outflow of air through your nasal passages. Once you have mastered this on the outflow, use the same method for the inflow breath, gently constricting your throat as you inhale. For maximum effect on your brainwaves, you’ll want to continue to use the Ujjayi breath throughout the entire meditation. The Ujjayi breath allows you to slow down and lengthen your breath significantly versus normal breathing methods, which facilitates deep relaxation in the body and brain. 3. Keep your awareness focused on your breath throughout the meditation. With each breath, inhale a little bit more air and slightly more deeply, without straining. With every out breath, exhale a little bit more slowly and deeply, again, without straining. This should be almost effortless and the process will begin to unfold naturally as you relax and your body senses the rhythm..
4. Keep this breathing pattern going indefinitely. You may hit an edge where your breath can no longer be extended. That’s perfect and just stay breathing at this length. You may find that one single breath may end up lasting a minute or more. As you continue to breath deeply you will find an exquisite and extraordinarily pleasurable peace wash over your mind and body as you move into various brainwave states. You can literally feel your brain moving into a state of deep coherence, harmony and relaxation. It is quite uncommon to become very inspired and have intuitive insights flash into your awareness. As such, you may want to keep a pen and paper by you to jot down notes. You will also find your mood elevated and many experience waves of pleasure and bliss. All these phenomenon and anything else you experience can be traced back to your brain waves moving into deep gamma, alpha, delta and theta wave states. Enjoy the aftereffects for hours, and often times, even days if you are able to stay in the meditation for close to 10 minutes or more. Repeat daily for maximum impact and lasting effects on brain function and brainwave patterns. Studies have found measurable alterations in brain size and epigenetic markers of stress reduction in as little as a few weeks. As amazing and as powerful as the brain is, it is actually split into two hemispheres that often have trouble communicating with each other. They are connected by a band of nerve fibers knowns as the corpus callosum, which sends neural signals between the two and facilitates connection and communication within the brain. 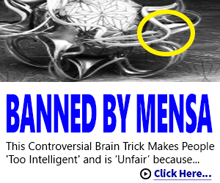 And it’s this very fact that allows us to proverbially hack our brains and consciousness in another interesting and powerfully effective way. Practices that cause us to use both sides of the brain simultaneously synchronize the functioning of the two hemispheres and have the effect of harmonizing neuronal firing and hence shifting brainwave activity away from beta and into the positive end of the spectrum towards alpha, gamma and theta. There are a number of ways to do this, including the meditation above, however, each practice has its own unique effects and lends itself toward giving rise to specific brainwave states, each with their own nuances and benefits. The Yogic practice of Nadi Shodhana, which is commonly known as ‘Alternate Nostril Breathing,’ is an ancient breathing technique that has the effect of shifting brainwave patterns by synchronizing hemispheric communication through a series of hand and breath coordinated movements. Although this practice works on a number of different levels to bring balance and harmony to the body and mind (energetically, emotionally, mentally), it works to shift brainwave state due to the fact that the right hemisphere of the brain controls the left side of the body and the left hemisphere of the brain controls the right side of the body. Nadi Shodhana forces the brain and body to constantly alter attention and muscle control between each side of the body and each hemisphere of the brain. As such, it stimulates communication and synchronization between the two through the rhythmic, alternating movements and breathing patterns. This has the effect of shifting brainwaves into an alpha state during shorter practice (1-5 breath cycles) and even into gamma and theta with 5 or more breath cycles. This is because the longer practice becomes more meditative in nature, which tends to lead toward gamma and theta states. Find a comfortable seated position, making sure your spine is straight without straining. With your right hand, bring your pointer finger and middle finger to rest between your eyebrows, lightly using them as a stabilizing anchor. The fingers you’ll be actively using are the ring finger and thumb. Close your eyes and take a deep breath in and out through your nose with both nostrils left open. Close your right nostril with your right thumb. Inhale through the left nostril slowly and deeply. Close the left nostril with your ring finger so both nostrils are held closed; retain your breath at the top of the inhale for a brief moment. Open your right nostril and release the breath slowly through the right side of your nose; pause briefly at the bottom of the exhale. Then, inhale through the right side slowly and deeply. Hold both nostrils closed for a brief moment. Repeat as many cycles as you like, although 5-10 is a good starting point, allowing your awareness to track and follow your inhales and exhales. Note that steps 5-9 represent one complete cycle of alternate nostril breathing. If you’re moving through the sequence slowly, one cycle should take you about 20-40 seconds, although it could be shorter or longer. Repeat daily for cumulative effects and this practice can be used as often as you’d like, although once in the morning and once at night is a good starting point. Sound itself is wavelike, and so it should come as no surprise that it is one of the most powerful influencers of mood and brainwave states known to man. Pioneering research in the 1950’s and 60’s conducted by Robert Monroe showed that by playing two acoustically different sounds with slight differences in their wave frequencies, one into each ear simultaneously, resulted in a standing wave pattern in the brain that matched the differential between the individual sounds broadcast into each in ear. Held for long enough, the brainwave state of the individual will eventually synchronize with the acoustically produced standing wave. Technologies that make use of this phenomenon have come to be known as binaural beats, with other variations on this original technology surfacing in recent decades including monaural beats and isochronic tones, all working along similar lines. 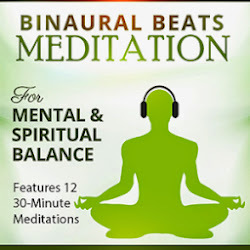 Binaural beats/tones are often combined with music as they tend to be somewhat monotone in nature, however, this does not lessen their impact. It is the rhythmic desynchronization of the two binaural sounds heard through each ear that produces the psycho-somatic effects—so as long as quality headphones or properly placed stereo speakers are used, the brain will respond appropriately. 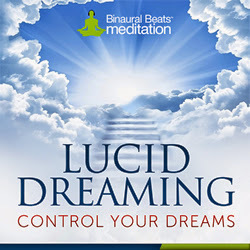 An interesting and useful feature of binaural and monaural beats is that they can be designed to synchronize your brainwave pattern into any specific state that the creator of the sounds desires, and therefore the experience can be much more precise and controlled than you can otherwise achieve with more organic methods, which tend to be more dependent on a number of factors that are not fully understood. With monaural and binaural beats you can literally pick the flavor of brainwave state that you’d like to experience, which can be very useful for getting yourself into specific states of consciousness to achieve various ends, for example, if you want to deeply relax, then you would want to listen to a delta-wave-inducing track, or if you want to experience enhanced intuition and creativity, you’d probably want to listen to a gamma wave or theta-wave-inducing track. By far one of the quickest and easiest ways to generate harmony and hemispheric coherence in the brain and shift your brainwave patterns into the positive end of the spectrum is through the use of bilateral eye movements. Bilateral eye movements, which are actually quite simple despite the academic sounding name, are a component of Eye Movement Desensitization and Reprocessing (EMDR) therapy, which has been gaining widespread popularity in recent years for its use in treating Post Traumatic Stress Disorder, among many other things. A number of studies and research papers have shown that specific exercises from the EMDR process have a measurable, positive impact on brain hemisphere synchronization and communication and tend to shift brainwaves toward the alpha end of the spectrum, although gamma and theta wave patterns have been recorded as well. The practice is quite easy to get the hang of: spend about 20 seconds to a minute or so shifting your eyes back and forth from right to left and back in quick but relaxed succession, without straining. It’s not uncommon to begin feeling your brainwave patterns shifting almost immediately. You should be able to feel your mental coherence increasing as you practice, and many report noticing shifts and sensations in the brain as they do so. However, if you don’t feel these it doesn’t mean it’s not working. You may just be less sensitive than others. For an advanced practice: try using the movements to work through difficult emotions as they come up. When you begin to feel a negative emotion surface, breath deep and begin the eye movements. Notice how things shift for you as you go through the process. While binaural and monaural beats are amazing tools for shifting your brainwave state and expanding consciousness, equally as powerful and perhaps even moreso are sounds you generate yourself. For millennia before the advent of musical technologies, a number of spiritual traditions and indigenous peoples discovered that specific types of sound could readily influence consciousness, and hence brainwave state, in very tangible and dramatic ways. Although the mechanisms by which this occurs are not fully understood, although it likely works in similar ways to some of the other methods outlined in this article, specific forms of chanting and various forms of musical instrumentation have been shown to reliably shift brainwave states to alpha, delta, gamma, theta and beyond. Perhaps the easiest and in a certain sense the most powerful way to begin practicing this organic method of brainwave influence and consciousness expansion on your own is through resonant vowel sound chanting. The mechanics and practice are fairly simple: start by saying and holding a specific letter of the alphabet for an extended period of time, adjusting the tension in your throat and the shape of your tongue and mouth to fine tune the pitch of the toning to facilitate the feeling of resonance in the body and brain. By shifting these four elements—mouth, throat, tongue shape and pitch—you will literally be able shift where you feel the sound in different parts of the body and into the brain. As such, shifting these four elements in such a way that you feel the sound in your head tends to have the most profound impact on brainwave state, although letting sounds resonate in other parts of the body can still produce shifts in brainwave state as well, in addition to having other positive effects in the body. Studies have shown that our DNA itself is wavelike in nature and responds to vibration both internally and externally. Resonant vowel sound chanting is one way to activate these inherent mechanisms. A good place to start is by practicing with the letter ‘O’. Take a deep breath in through your nose and on the exhale, say and hold the letter ‘O’ as long as you can without straining. It can be helpful to close your eyes and tune into the finer subtleties of what you are feeling in your body as you tone and chant. After you get the hang of it, try experimenting with different vowels and letters. Some good ones to start with in order to get a strong resonance going are: O, A, E, I, U, M as these lend themselves best to chanting, toning and holding for extended periods of time. The legendary ‘Om’ or ‘Aum’ chant combines multiple vowels and consonants in a single tone to produce a deeper, consciousness-expanding effect. Practice as long as you’d like although benefits tend to peak around the ten-minute mark in my experience, although that’s just a guideline and not a hard-and-fast rule. Noticeable shifts and effects can often be felt much sooner than that as well. Even just a handful of repetitions can help shift your brain into an altered wave state and bring your consciousness into more coherence and harmony. What I love about toning and chanting is that it’s an organic method of brainwave influence—everything you need is within you. With that being said, certain musical instruments are also known to operate by similar principles and can be a useful adjunct to your practice, either in combination or on their own, for a more passive and perhaps relaxing experience. While all sound shifts brainwave patterns to some degree, there is an entire class of instruments that are truly designed for this purpose and specifically to bring more coherence and balance to the body and mind and shift brainwaves to the positive end of the spectrum. Gongs, handbells, chimes, singing bowls (crystal or Tibetan), didgeridoos, flutes, and even certain types of drums, among other more exotic instruments have been used to induce expanded consciousness and brainwave coherence for thousands of years by ancient cultures worldwide. Feel free to combine and blend all of the practices and tools outlined in this article for a greater effect. However, more is not always better, and typically combining two or three techniques is the point of greatest return. Introducing too many sounds can often times have the opposite effect. A good way to calibrate the ‘sweet spot’ is to use what you are feeling in your body and brain to guide you. If you feel greater harmony, coherence, resonance and pleasure, you are headed in the right direction. Jahn RG, Dunne BJ. 1987. Margins of Reality: The Role of Consciousness in the Physical World. New York: Harcourt Brace Jovanovich. Radin D. 1997. The Conscious Universe. San Francisco: Harper San Francisco. H. Stapp, in Nadeau R, and Kafatos, M., The Nonlocal Universe: The new physics and matters of the mind, Oxford University Press. (1999). Radin DI, Nelson RD. 1989. Evidence for consciousness-related anomalies in random physical systems. Foundations of Physics. 19:1499-1514. R. Targ and J. Katra, Miracles of Mind: Exploring Nonlocal Consciousness and Spiritual Healing, New World Library, Novato CA. (1998). Udo Will, Eric Berg, Brain wave synchronization and entrainment to periodic acoustic stimuli, Neuroscience Letters, Volume 424, Issue 1, 31 August 2007, Pages 55-60, ISSN 0304-3940, 10.1016/j.neulet.2007.07.036. This article (5 Practices to Expand Your Awareness and Harmonize Your Brain) was originally created and published by Waking Times and is published here under a Creative Commons license with attribution to Justin Faerman and WakingTimes.com. It may be re-posted freely with proper attribution, author bio, and this copyright statement.